Welcome to our thirteenth Tumblr Tuesday, where every Tuesday we celebrate our love of Tumblr by interviewing the mastermind behind a blog. Tumblr, a New York City based startup, is like the FFFFound for the rest of the world. It’s as shareable and fast-paced as Twitter but populated with more in-depth text and rich images. We caught up with the man behind the blog, the 24-year old Hudson Hongo (epic name, right?) from Eugene, Oregon, U.S.A. who collects “Stories from The Onion as interpreted by Facebook.” That is, satirical Onion stories posted on Facebook that people actually thought were real. Oh, the gullibility of the Facebook community. You can’t help but not feel a little embarrassment for humankind as you laugh. CBM: Who is the man Hudson Hongo in 5 words? HH: Internet humorist and nacho enthusiast. CBM: What’s your day job or what do you do when you’re not scanning the Internet for people’s misconceived notions of Onion articles? HH: I’m a freelance writer and web designer, though “day job” might be misleading when I do most of my work in bed while my girlfriend’s trying to sleep. Also a lot of this work ends up being stuff like photoshopping tacos onto people heads or coding a Glenn Danzig calculator. 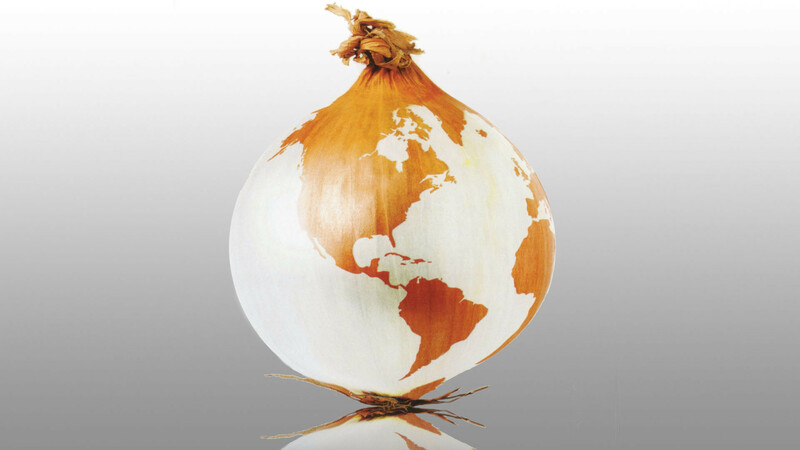 CBM: What’s your favorite onion based recipe? HH: The place on the corner has good cheese steaks. Those have onions, right? CBM: Are you a reader of the Onion, if so, when did you start reading it and what do you like about it? HH: I started reading the Onion in high school, I think a classmate actually snuck an issue into math class inside a textbook. What I still really enjoy about the Onion is how well they maintain the balance between patently silly material like “Funyuns Still Outselling Responsibilityuns” and pointed satire such as “Drugs Win Drug War,” which keeps the humor relevant without being overly didactic. CBM: How did the idea for Literally Unbelievable come to pass? HH: After seeing screen captures of Facebook users angrily responding to an Onion article about a supposed taxpayer-funded ‘Abortionplex,’ I investigated if readers were responding that way to any other articles and was kind of shocked. It seemed that people were willing to believe any headline if it caused them sufficient alarm. Afterward I started the Literally Unbelievable to document the creativity of these outbursts, which apparently interested a lot of other people too. CBM: When did you set it up and how many followers do you have? CBM: Have you had any awesome experience due to your Tumblr page? HH: A number of people I had lost touch with reconnected with me after Literally Unbelievable started showing up on news sites, including someone who apologized for being unkind to me when I were kids, which was really sweet. Really I think my mom got the most out of it; she emailed me every article that I was mentioned in. CBM: What are your 5 favorite posts? HH: My favorite reactions are from the young woman who thought London was a country, the men disappointed by Obama’s “Free Parrot” bill, and the folks responding to the news that Oprah would be buried with living fans in her Oprahmidion. I also really love the woman who believed a second sun had entered out solar system and the man baffled by reports of 500-foot Osama bin Laden because I was certain no one could possibly believe those stories.